Once-hyped augmented reality startup Blippar has laid off all of its employees after it collapsed into administration. The company said it would wind down its augmented reality services after being unable to raise the necessary funding to stay alive. The decision leaves loyal Blippar employees in a tough position before Christmas and may affect their pay. Blippar, the once-hyped British augmented reality startup, has laid off all of its employees after falling into administration. The administration process in the UK is similar to a company filing for Chapter 11 bankruptcy in the US. Corporate insolvency firm David Rubin & Partners announced on Monday that had been appointed as Blippar's administrator, and the company published a blog hours later stating that it would let all of its employees go. Blippar's latest company accounts, dated March 2017, show that the firm employed 261 staff members across its UK, US, Singapore, and New Delhi offices. LinkedIn data indicates the current figure is closer to 125. The startup, which once claimed to be worth $1.5 billion, also said that it would wind down its augmented reality business. "We will be learning more about the administration process over the coming days and will keep all our stakeholders informed. We are not in a position to provide all of the details, at this time. The administrators, which have been appointed by a UK court, will be expected to find a buyer for all or parts of the business. "Blippar's services are likely to come to halt once the administrators take control of the business and its servers. As part of the administration process, all employees will be let go. This is an incredibly sad, disappointing, and unfortunate outcome." Blippar said its administrators, David Rubin & Partners, were seeking a buyer for all or part of its business. The administration potentially leaves laid-off Blippar employees in a tough position before Christmas. Being made redundant within the first 14 days of administration means employees don't qualify as "preferential creditors" should Blippar be unable to pay its debts. Being a preferential creditor would give employees a better chance of recovering their salary and redundancy payments. The early redundancy means they likely rank as "ordinary creditors" and will join the queue of people and businesses to whom Blippar owes money. 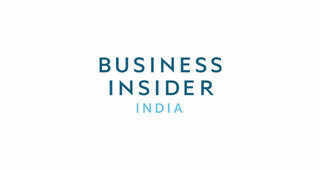 Business Insider requested clarification from David Rubin & Partners, which declined to comment. There is still hope for Blippar's business and, to some degree, its employees. It is possible that a buyer will swoop in and buy some of Blippar's operations, and even rehire some of its employees. In its statement, Blippar shed more light on how an investor dispute resulted in its administration. The company said it was trying to build out its business-to-business offering and needed "a small amount of funding" to succeed. That funding, it said, was secured from an investor thought to be property tycoon Nick Candy, already a major shareholder in Blippar. One of its investors, thought to be Mayalsian sovereign fund Khazanah, blocked the investment, Blippar said. "Regrettably, one shareholder voted against the additional funding, effectively blocking the investment even if they were not asked to participate in any further financing of the business, and despite our extensive efforts to reach a successful resolution," the company wrote. It's a sad outcome for a British startup company which once had offices around the world and claimed to be building something "bigger than the internet itself." The company had raised $150 million by the time of its collapse from investors including Khazanah, Nick Candy, and Qualcomm Ventures. Blippar was an early pioneer in augmented reality, offering an app which could identify real-world items and provide additional context. It originally made money through advertising and brand partnerships, but pivoted to focus on creating a visual search engine underpinned by a business-to-business offering. Sources told Business Insider last April that the company had burned through its funding and struggled to find recurring business. They also said Blippar had exaggerated user numbers for its app. The Financial Times also examined CEO Ambarish Mitra's backstory, and found inconsistencies in his CV.  If you worked at Blippar or have information you'd like to share with us, you can contact the reporter at sghosh@businessinsider.com.